Drink in style! 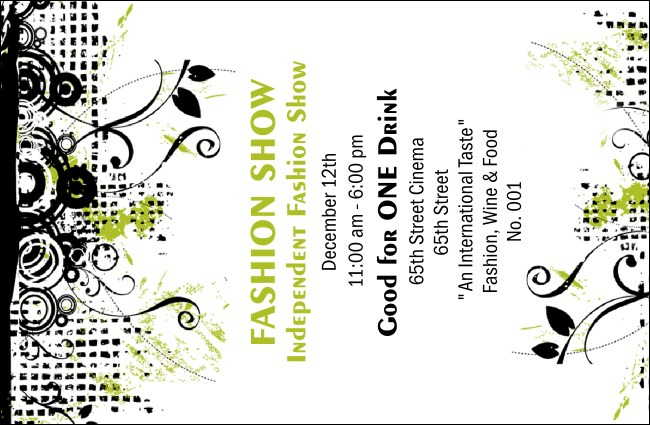 For runway shows and other fashioned-themed events, the Fashion Show Drink Ticket lets you slip into something smooth. With stunning lines and a matching Event Kit, along with space to upload your own image, logo, or head shot, this ticket template keeps things cool around the catwalk. Sit pretty with the right Event Kit from TicketPrinting.com.